Donald Trump means what he says, particularly what he says first. That seems to be the lesson emerging slowly from developments relative to Trump’s trade agenda. Whether you think that is good for America depends on whether you agree with what Mr. Trump says. Deficits vs. Rules: Where does the focus belong? In his rhetoric on trade, Trump describes trade deficits as being tantamount to larceny—foreign countries stealing American jobs and wealth. 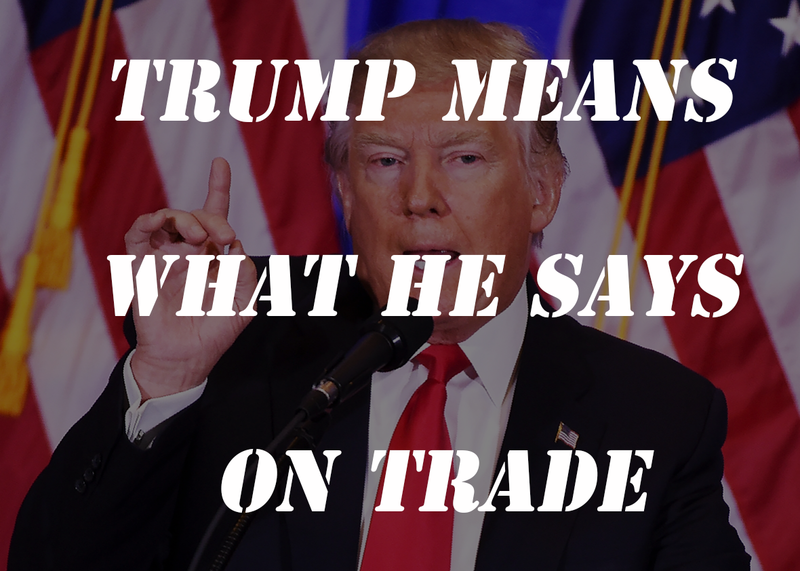 When pressed on whether this means Trump opposes free trade, he and his administration are quick to say they support free trade, but it has to be fair trade. The former notion—trade deficits—can be resolved by focusing on trade itself. The latter—making trade fairer—requires a focus on the rules of trade. The following aspects of the ongoing trade actions seem to indicate that, for Trump, deficits take priority over rules. Relative to proposed and actual tariffs on steel, aluminum, and auto’s, Trump is citing national security, not the practices of the trading parties involved, as the reason for the tariffs, which is likely a result of the fact that in many cases (steel from Canada and Germany, for example) there aren’t any unfair trade practices to criticize. In the NAFTA talks, a key sticking point seems to be that the President wants to mandate that Mexico pay its workers at least $16 per hour, which has nothing to do with trade practices but instead relates to Mexico’s level of economic development. 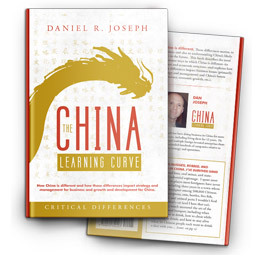 In talks with China, it seems the administration is focusing heavily on obtaining Chinese commitments to import more from the US, with pressing China to change the rules around its market being on the backburner (at least for now). So it increasingly seems as if the focus is on eliminating the deficit by any means necessary, not improving the rules of trade. Time will tell whether the Trump administration continues to focus more on deficits than the rules of trade. Unlike most politicians, Donald Trump, a skilled negotiator, relishes the benefits of uncertainty. He doesn’t mind if no one knows exactly what he wants. So his emphasis could change. But if it doesn’t we might see more tariffs rather than less. That could have important consequences. If you agree with Trump about trade deficits then you are no doubt delighted in his approach. But I would offer a word of caution. When it comes to the benefits of a tariff-based trade deficit reduction program, prepare for likely disappointment. The flow of jobs returning to the US is most likely to be negative. At best it will be a trickle, not a flood. Most of us don’t time to study global economics in detail. You might not know that the debate over trade is centuries old. Protectionism has historically been the norm, with countries wanting to horde the gold, silver, or foreign exchange reserves that come with a trade surplus. But in the end protectionism raises costs, decreases competitiveness and discourages inward investment, so it doesn’t work which is why prosperous countries have been moving away from it for five decades or so. The correlation between low trade barriers and growth is actually quite high. On the other hand, the correlation between trade surpluses and growth is low. Germany and Japan generally have trade surpluses, but their per capita GDP is 80% or less of America’s. America’s trade deficit is more a result of its strengths, like dominance of the tech sector, efficiency of the service sector, and attractiveness as an investment destination, than trade irregularities. America’s weaknesses, like family breakdown, mediocre educational performance in K-12, and historically high national debt levels, are far more impactful on working class employment than unfair trade practices. Tariffs might protect some jobs, but it will raise costs in other industries which will result in job losses. History has consistently shown that the job losses are greater than the gains. This is why, if Trump stays on this track, disappointment will likely be the result. There is one other risk. Of all the trade issues Trump has raised—steel, aluminum, automobiles, NAFTA, etc.—one is more genuine and serious than all the others—China. Getting China to open its markets further, while not likely to result in huge job creation in the short term, is a critical trade priority. The obvious way to approach China is in unity with those who have shared interests relative to China—Canada, The UK, Japan, Germany and the rest of the EU. By poking these traditional allies, instead of unifying them, Trump risks weakening his position relative to our most important trade issue. Of course, Trump certainly doesn’t see it this way. He figures his approach will work just fine. I hope he’s right. I’m worried he isn’t.